Pte. 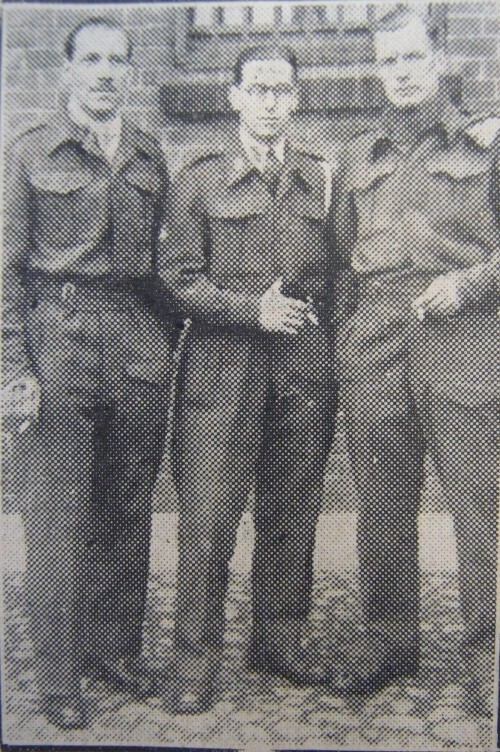 P J Haywood (centre), whose wife and child live at Station Road, Quorn, has sent the above picture from Stalag XXA (35). He was taken prisoner in May, 1940. He was educated at the Loughborough College and later worked at Messrs H Morris Ltd. Prior to the war he was in the 2/5 Leicestershire Regiment Band and a drummer in the Embassy Dance Band.